With this guide in hand, buying and safely storing cryptocurrency will be a breeze. The easiest and most straightforward way to buy Bitcoin, Ethereum, and several other cryptocurrencies is with Coinbase. Coinbase is an FDIC insured cryptocurrency exchange headquartered in New York City. Because it is the easiest to start with and, it’s pretty good! For several weeks in 2017, the Coinbase app was ranked as #1 in Appleʼs App Store. 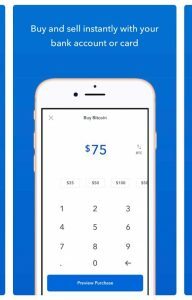 To get started with your first cryptocurrency purchase, download the Coinbase app for either Android or iOS. Once installed, tap the Coinbase app to launch it. The appʼs landing screen will ask you to create a Coinbase account. Add your email address (wait for the verification email to be sent to you, it should happen instantly). Click on the link contained in the verification e-mail. Quick tip: Linking your bank account means lower transaction fees compared to linking your credit or debit card. (There are strict KYC ( know-your-customer) and AML (anti-money-laundering) laws in place which govern who can and canʼt use cryptocurrency exchanges such as Coinbase. 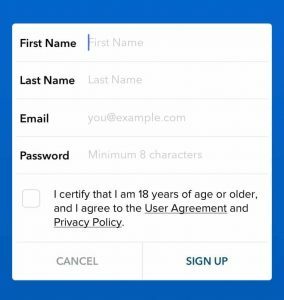 In order to comply with these laws, Coinbase requires that you upload photos of your government-issued identity document ( passport, photo ID, or driverʼs license). Your identity documents must be photographed clearly with high resolution, so be careful not to upload a blurry photo! After youʼve submitted your documents youʼll need to wait for the Coinbase team to give your request a thumbs up. As long as your documents are valid and clear to read, you shouldnʼt have a problem. 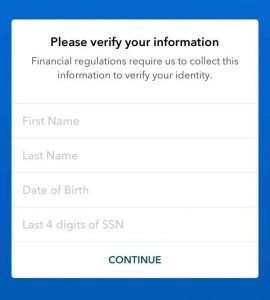 Once youʼve received approval notification from Coinbase, youʼll have one last round of information to provide before youʼre on your way to buying cryptocurrency. Head over to your banking website to check the charges. 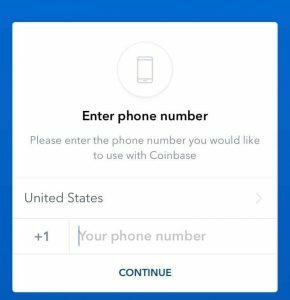 Coinbase will ask you for the last two digits of each charge in order to confirm that you are the owner of the account. click “Verify Charge Numbers” to finish the process. Coinbase will reverse the charges sent and your account is now ready for use! Great, your account is live and youʼre ready to buy Bitcoin, Eethereum, Llitecoin, or other cryptocurrencies provided on Coinbase. Open the Coinbase app and youʼll see a landing screen with the charts of each of the cryptocurrencies offer. Letʼs select bitcoin (BTC) by clicking on the bitcoin chart. Select ‘”Buy” and youʼll be taken to a screen that asks how much bitcoin you want to buy. Enter the dollar amount of BTC you would like to buy (If youʼd prefer to specify the amount in BTC, you can click the tiny arrows to the right of the screen which will switch the input field from USD to BTC). Click “Preview Buy” which shows what your buy will look like complete with Coinbaseʼs exchange rate and fees. Look over the total to make sure all is well. Your BTC will appear in your wallet instantly which you can confirm by opening your bitcoin wallet on the Coinbase app. Could you do your happy dance? Wait, we are not yet there! Now you have to store it as well. Itʼs time to store it in a safe and secure way. This is a step that both beginner and experienced cryptocurrency investors alike tend to overlook when, in fact, it should be attended to with plenty of attention and care. The default wallet youʼre given by Coinbase is FDIC insured up to $250,000. This makes it secure enough, but the problem is that ultimately Coinbase owns your wallet, not you. Every cryptocurrency wallet contains a set of keys. One is public and is known as your public address, the other one is a private key. public address – this is the address you give to others when they need to send cryptocurrency to you. private key – this should be known by you and only you. Your private key unlocks your wallet, therefore guarding this key is of the utmost importance. software wallets – hosted online by exchanges or are applications you can download to your desktop. Theyʼre secure to an extent but are vulnerable to plenty of malicious attacks such as keylogging. hardware wallets – Hardware wallets are physical storage devices that look very similar to USB drives. Hardware wallets store your private keys behind such dense encryption that they have never been hacked before. If an attacker wanted to steal your private keys from you, they would need to physically take your hardware wallet and force you to tell them your password for opening it. We like to go hard. It’s more reliable. Whether you are investing or buying something. There is always a chance your wallet could be attacked. “a rich guy is on holidays in Italy. He walks into an italian restaurant, orders food and plenty of wine. As he waits for his order, guy checks his latest investments – Bitcoins. a day later, he has lost more than 50k. It turns out he used public Wi-Fi and used secret encryption keys to enter his online wallet. Hackers these days can use tools like “Pineapple” for keylogging everything you do – The pages you visit, what you type in, even record or shoot webcam photos. VPNs, however, let you access public Wi-Fi without any interference. The best way to maximize your money is to use a VPN. It only costs a dime, check for the best VPNs available here. Now you know how to buy and secure your cryptocurrency. You are ready! Now you can do your happy dance!